Think of the great things you’ve passed along to your kids: sense of humor, charm, style, wit—why, the list could go on and on of course! Unfortunately, some of the things that get passed from parent to child aren’t that great. 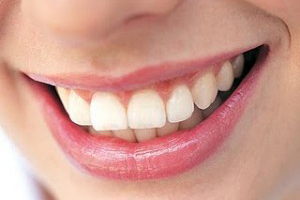 One is a predisposition towards periodontitis, or gum disease. Of the hundreds of strains of bacteria that inhabit your mouth we’ve turned up 5 or 6 particularly aggressive ones and labeled them “probable periodontal pathogens.” These bacteria appear to be responsible for gum disease and also appear to be contagious—that is, they’re spread by long-term intimate contact. The more we know about periodontitis, the more serious we’re discovering it to be. It’s not just a gum problem. Because it’s an infection, it opens the door for disease and inflammation throughout the entire body. Increasingly, researchers are linking it with increased potential of heart disease and stroke. That’s why it’s so critical to catch it early and keep it under control. The potential of “transference” among family members suggests that even though only one adult may show perio symptoms, all other family members—especially children—stand a much higher chance of contracting the disease. The fight against perio must be a family affair. Checkups begin with a baseline measurement of the disease and each family member. The sooner monitoring begins, the less opportunity these bacterial bugs to have to do their dirty work and require extraordinary dental responses like root planing and even extraction. If you or a family member answers “yes” to any of these, your family is at risk of gum disease. An office visit now is strongly recommended. My gums bleed slightly when I brush. My gums are bright red and tender. My permanent teeth are loosening. I’m embarrassed by persistent bad breath. My gums are shrinking from my teeth. My teeth or dentures fit differently when I bite.